d&i Leaders are pleased to be supporting the charities below and raising awareness of the work they do. Please take the time to visit their websites to find out how you can get involved. d&i Leaders is proud to be supporting the Aleto Foundation, who recognise that for our country’s leaders to reflect the population at large and to take advantage of the widest range of views and experiences, we need to tackle the challenge of helping young men and women from less-privileged backgrounds to rise to the top. Our solution…Sharing Success with Tomorrow’s Leaders to Create A LEgacy for TOmorrow: Aleto Foundation’s successful annual summer Leadership Programme exposes young people to leaders in business, politics, media and philanthropy etc and gives them a short sharp confidence boost to propel them towards their goals – academic, vocational or otherwise. 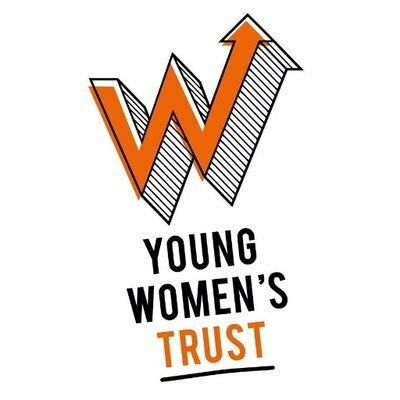 d&i Leaders is proud to be supporting Young Women’s Trust, who support young women to work and thrive. d&i Leaders will be donating £2 for every delegate place sold at our Gender at Work Summit 2019. Over 1.5 million young women across the country are currently out of work or trapped in low paid insecure work. This means they struggle to afford basic things like food, clothes and housing and it means they are more likely to suffer from anxiety, low self-esteem and depression. Young Women’s Trust supports young women, especially those struggling to live on low or no pay, to get into work that is right for them. They do this by helping young women to feel more confident and ready for work and by challenging systemic and societal barriers that are holding young women back. d&i Leaders is proud to be supporting Schools OUT UK, an education charity with a goal to make our schools and educational institutions safe spaces for our LGBT+ communities. d&i Leaders will be donating £2 for every delegate place sold at our LGBT+ at Work Conference 2019.